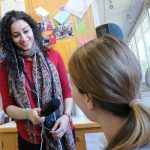 Yasmin Amer: Producer and reporter for Kind World podcast, WBUR, Boston. Steph Beckett: Graduate student, Columbia University School of Journalism. Nathan Bernstein: Studio host at IMG College. Madison Cavalchire: News Reporter at Spectrum Cable. Kirsten Chang: Communications & Outreach Assistant at TROSA, Inc.
Jess Clark: Reporter, WWNO Public Radio, New Orleans. Jessica Coates: Reporter, Salisbury (N.C.) Post. Noel Cody: Software engineer, Facebook. Alletta Cooper: Freelance Producer, StoryCorps, New York. Cole delCharco: Fellow, WFAE Radio, Charlotte. David Doochin: Content Strategy Fellow, Babbel. Josh Ellis: ‎ Associate Vice President for Media Relations, University of North Carolina System. Former Communications Director, North Carolina Governor Pat McCrory. Louis Fernandez: Reporter, WBIR-TV, Knoxville, Tenn.
Dylan Field: Assistant Director, Go Heels Productions. Rene Gupta: Lifestyle and Influencer Marketing Manager, Atlantic Records. Wesley Graham: Brand Manager, Ardent Studios, Memphis, Tenn.
Mark Haywood: Production Engineer, Third Wheel Media. Grace Joyal: Communications Strategist and Founder, Emboss Communications. Jason Kahn: Sports Reporter, News12, New Jersey. James Kaminisky: Production Assistant, NBC Sports. Reema Khrais: General Assignment Reporter, Marketplace. Avery Kleinman: Producer, The Kojo Nnamdi Show at WAMU, Washington, D.C.
Tony Liu: Producer at On Being Studios. Ashley Lopez: Political Reporter, KUT-FM, Austin, Texas. Logan Martinez: Editor, Sanford Herald. Zach Mayo: Production Coordinator at Simple Alien, Inc.
Elise McGlothian: Producer, WBBH-TV, Fort Myers, Fla.
Will Gorham Michaels: Producer, WUNC-FM/North Carolina Public Radio. Jessa O’Connor: Assistant Editor, Digital News and Engagement, WFAE-FM, Charlotte. Jane Porter: Writer, Raleigh magazine. Andy Rosen: Sports Media Assistant Account Executive, Optimum Sports. Alexandra Rizk Keane: Founder & Producer at Rizk Pictures, LLC. Adam Rhew: Senior Editor, Charlotte Magazine. Mike Rodriguez: Associate Producer, ESPN. Liz Schlemmer: Fletcher Fellow and education reporter, WUNC-FM/North Carolina Public Radio. 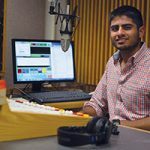 Parth Shah: Assistant Producer, NPR. Charlie Shelton: Digital News Producer, WUNC-FM/North Carolina Public Radio. Jay Siebold: Freelance audio producer. Dan Siler, Marketing and Communications Manager, Town of Chapel Hill. Andrew Stern: Multimedia journalist, NBC News. Walter Storholt: Third Wheel Media, Durham, NC. Play-by-play voice, Learfield Sports. Cydney Swofford Freeman: Media Attorney at Davis Wright Tremaine LLP. Aaron Taub, Freelance writer and podcaster. Alex Thomas: Anchor/Reporter, MetroNews, Charleston, W.V. 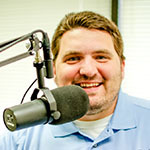 John Thomas: Play-by-play broadcaster and media relations director at High Point-Thomasville HiToms, studio host at IMG College. Andrew Tie: Communications Coordinator at Virginia Tech. Michael Tomsic: Marketing Communications Specialist, Parker Poe Adams & Bernstein LLP. David VanDokkum: Product specialist, Action Button. Erin Wygant: Content Marketing & Outreach Coordinator, San Juan Islands Visitors Bureau, Washington.